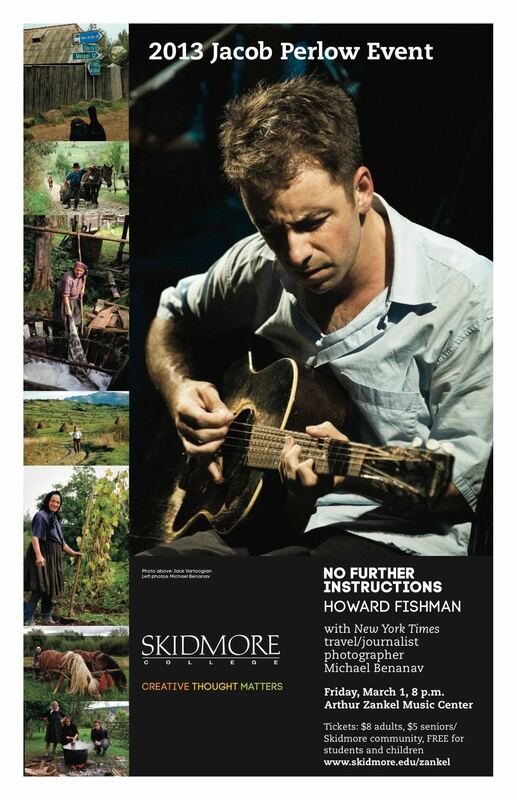 ← On NPR's "WORD OF MOUTH"
Howard will perform his album NO FURTHER INSTRUCTIONS with a full 11-piece folk-punk orchestra on Friday, March 1st at Skidmore College in Saratoga Springs, NY. Joining him for this special performance will be author and New York Times journalist Michael Benanav to talk about the pair's adventures in Romania and read from his book. Tickets are here. Listen to an interview with Howard about the show on NPR - WAMC radio here.